Your family is dead. The Government has dissolved. The city is overrun with the infected. Choose what to do each day and escape before your city is wiped out. Train skills, find gear, improve your home, explore the city, find pets, make hundreds of tough life and death decisions with lots of consequence, and kill zombies. Overlive is a highly rated game that plays like a non-linear “choose your path” interactive story, with heavy RPG and exploration elements, lots of replayability, and combat. Check out reviews and features below for more details. NOTE: This is the FULL version of Overlive. All content and features are available and there are no ads. Enjoy! “One of the things I really love about this game is just how much stuff there is to find. There are lots of little surprises and finding certain items that might seem unimportant at the time can really help you out in unexpected ways in the future. Finding each of the endings is a good challenge that will keep even veterans of the genre busy for a while, and the frankly massive amount of events means even after finding all the endings, there will still probably be undiscovered nooks and crannies. “Probably the best thing about Overlive is its ability to actually build a world and add consequences to random exploration. The game doesn’t depend completely on the player to discover and create narrative, but also allows for them to make decisions and impact the game world. This transforms the game beyond being a series of minigames with some narrative elements to a game that has players question whether a completionist attitude is really worth having in world ravaged by zombies. 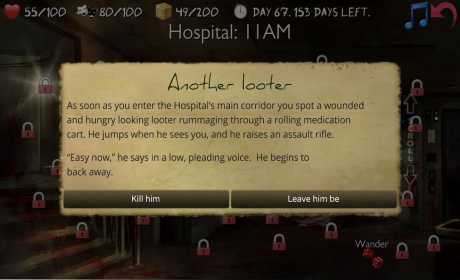 + Survive the zombie apocalypse and escape your zombie infested city before time runs out! + Make 100s of tough decisions that may come back to haunt you in this “choose your path” style interactive story. + Shoot and cut zombies, bosses, and other threats with melee, guns, and explosives! + Overcome 1000s of unique challenges by training 9 skills; be a stealthy computer hacker or a guns blazing pyromaniac – you decide! 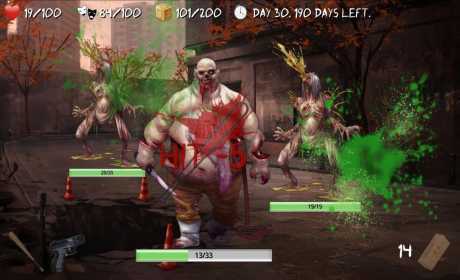 + Explore 18 infested city locations to find other survivors, new weapons and gear, and upgrades for your home! + Find one of the 8 endings and achieve the best possible score grade based on your conduct… can you survive without becoming evil? + This version is 100% ads-free and has all content unlocked! Overlive is a top interactive mobile story game of 2015, and plays like a fun and cool survival simulator. It has recently been updated with new fully HD backgrounds and sounds. 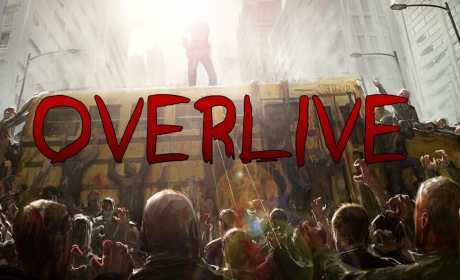 Overlive can be a bit difficult to describe, but if you’ve played and enjoyed any of the following games (none of which FireRabbit is associated with in any way) you’ll probably enjoy Overlive: Fighting Fantasy, Sorcery, The Walking Dead, Rebuild, ZDay Simulator, ZDay, Last of Us. Thanks again guys for all the best awesome game downloads you have provided to all of the people! Keep it up and running strong!